The essence of this practice is to become aware of the judgements which we make in our minds and to see how these affect our experience of life and how they prevent us from realising who we really are. Many people who consider themselves to be on a spiritual path aspire to being non-judgemental. But prefixing what we say with phrases like “I don’t mean to sound judgemental” or “this is not meant as a judgement” does not mean that we are being non-judgemental. It merely means we are claiming to be non-judgemental and trying to convince ourselves and others that we are not standing in judgement. Equally, being quiet and not engaging with someone verbally whilst secretly thinking that the other person is wrong or stupid, does not mean we are being non-judgemental. All judgements have one thing in common. They state that one thing is better than another, or that one way is better than another. If we have opinions then we make judgements. If we feel passionate about something we make judgements. The thing about judgements is that they belong to the mind. The mind is constantly processing data and calculating which path is the best one to take. But the mind can prove or disprove anything. It can even prove and disprove the same thing. So the mind is not a reliable ally when it comes to discerning the most appropriate course of action to take. If we try to be non-judgemental and say that everyone is free to do whatever they feel is right, doesn’t that mean we will simply stand by and watch as people cut down rainforests and wage war? How can we actively engage in standing up for what we feel is right without entering into judgement? Is it even possible? When we look at these issues relating to non-judgement we find, as we do when discussing most spiritual qualities, that there are a number of fine lines to tread. We seek to practise non-judgement without becoming disempowered. We seek to be tolerant without standing aside and simply allowing everything and anything to happen. It is only by going beyond the mind that we can intuit or discern the most appropriate course of action for us. If we think about it and try to rationalise it we can come up with valid arguments both for and against following the same path. It is only by going deeper within us, beyond the ordinary thinking mind, that we can connect with a part of our being that knows what is right for us. Although many of us may aspire to serenity, to live in non-judgement, and to treat everything with equanimity, in reality our lives are much more animated. We have within us the force of creation and destruction, a kind of spiritual fire. Trying too hard to practise non-judgement and equanimity can lead to a suppression of these forces which ultimately need to be expressed. When we look within it is important that we allow whatever we find to be expressed. We may find hatred, intolerance or judgement but if we don’t allow that to come out we may never learn how it came to be and never learn to move beyond it. Being annoyed with someone’s behaviour and pretending that we are not standing in judgement will do us no good at all. Usually, if we find ourselves being judgemental towards someone, it is a mirror for something in ourselves. If we believe that someone is being a fake we might need to look at where in our own lives we are not being true to ourselves and not walking our talk. This is where we need to learn to apply the principle of non-judgement in relation to our own lives. If we look within and find hatred, and if we stand in judgement of that hatred, then it will continue to live within us as an energy which will undermine so many of our attempts at being compassionate, tolerant or caring. Many of us have negative self-beliefs and low self-esteem which hold us back. These need to be faced with courage if we are to realise that who we are is someone much greater than we ever gave ourselves credit for. 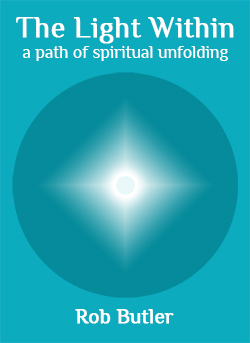 Many spiritual paths emphasise the need for love and light. We are encouraged towards saintly behaviour. We are encouraged to be nice and think nice thoughts. But the truth for most people is that inside we have many conflicts. We may try to be nice on the outside but that belies what is really going on within us. We all have fears. We all have judgements. We all have prejudices of some sort. So by trying too hard to be nice and peaceful on the outside, we actually encourage the energy of conflict to grow within us. We need to explore the darkness within us if we are to experience wholeness. Nearly every day it seems that there is a story on the news about someone who was punished, threatened, or had to resign from his job because of something he said. Censorship is rife in our culture. We may think we live in a democracy with freedom of speech but there is an undercurrent spread by the media which says “be careful what you say or you might get into trouble”. This undercurrent simply adds to the feelings that many people have, that it is not safe to express what they find within. We need to learn to express ourselves, to speak about what we feel and what we think, and most importantly, we need to learn to listen to other people, to learn why they think and feel what they do. Simply saying that someone is wrong for saying something does not help. If someone has anger and directs that towards a group of people, we need to understand why that person has anger and why they are directing it in that way. Simply standing in judgement and claiming that we are more civilised, more intelligent or more spiritually advanced does not help in the slightest. If we notice that we have formed a judgement about someone we can try to put ourselves in his shoes and ask why he may behave the way he does. We can also learn to differentiate between the person and the behaviour – perhaps we may not like the behaviour but we can practise a different kind of non-attachment and non-identification by seeing that the person is not the behaviour. Furthermore, there are no absolutes in the world of duality – there are only relative truths. We may think we know good from bad but these judgements are subjective and are creations of our own minds. We can aid our practice of non-judgement by enquiring as to how we know that what we think is bad really is bad. If we respond to someone’s behaviour in an emotional way – if his behaviour carries an emotional charge for us – it signifies that we have something still to learn about this behaviour. By looking deep within ourselves and asking why this behaviour bothers us so much, we can gain deeper insights into ourselves and life in general. Judgements create certainties in the mind. Certainties make us feel safe. But are they real and do they really serve our development?